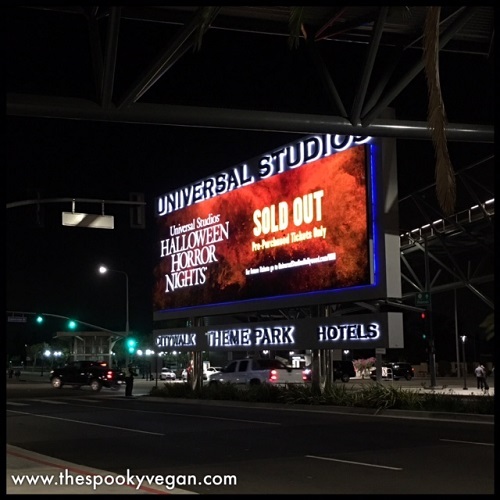 I attended the opening night of Halloween Horror Nights at Universal Studios Hollywood this past Friday, September 15th. 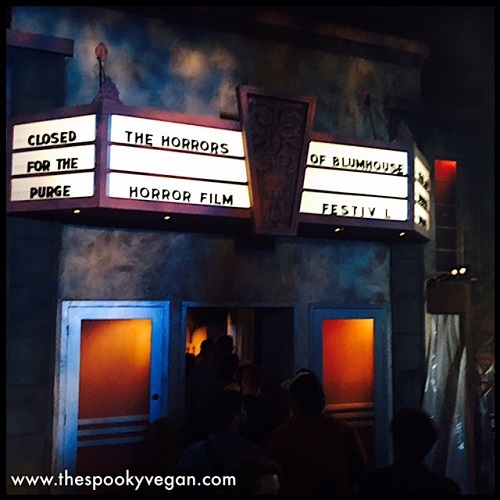 I have been looking forward to Halloween Horror Nights since last year (check out my coverage from 2016) and was even more excited for it after being treated to a sneak peek from creative director John Murdy and art director Chris Williams back in July at Midsummer Scream. This year, Universal had mazes based on The Shining, Insidious, Saw, American Horror Story: Roanoke, Ash vs. 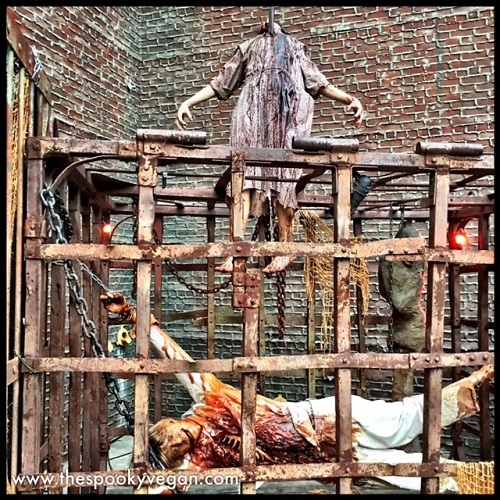 Evil Dead, Titans of Terror maze featuring Freddy, Leatherface, and Jason and Terror Tram experience hosted by Chucky, and The Blumhouse Experience maze based on The Purge, Sinister, and the upcoming Happy Death Day. 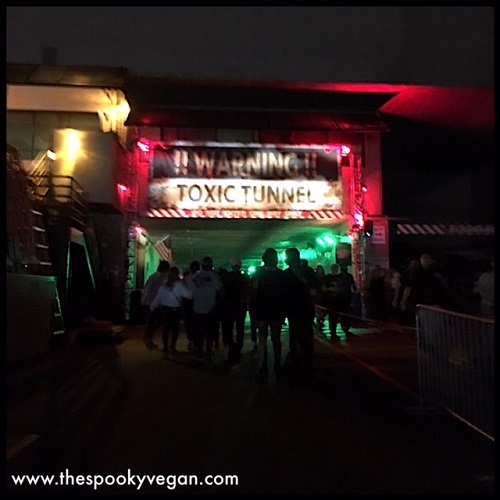 The scare zones this year were Hell-o-Ween by the entrance, Toxic Tunnel on the way to the back lot, and Urban Inferno in the back lot. I was most excited for The Shining and the Titans of Terror maze! I'll walk you through my night below. This year, Universal brought back the VIP experience, which they call the RIP Tour. 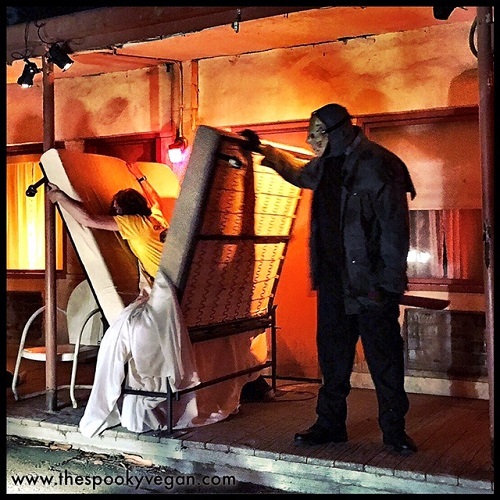 The RIP Tour includes unlimited front of line entry to all mazes and rides, buffet dinner with drinks (including two alcoholic drinks if you're into that) in the exclusive VIP dining room, and a guided walking tour of all mazes. 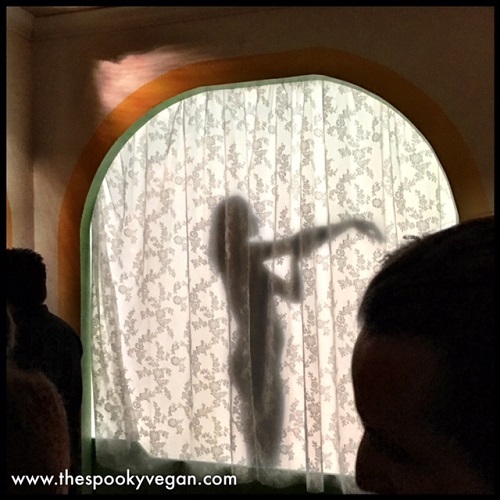 I did the VIP experience the first time I ever attended Halloween Horror Nights (read all about my first time HERE!) and have been spoiled ever since! I was stoked they brought it back this year, and sprung for it just for the unlimited front of line entry to all mazes. pretty long even before nightfall! Universal had early entry to the Halloween Horror Nights event again this year, with select mazes opening up at 5:15 PM, so we showed up a little past 5:00 PM. VIP has their own separate check-in where we picked up our badges and got our wristbands for our buffet time at the VIP lounge. 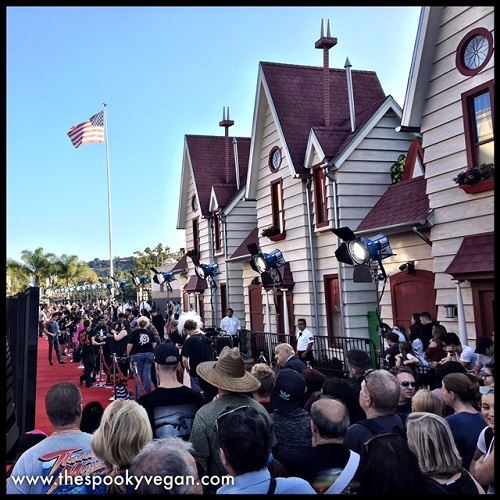 We took a peek at the red carpet set-up, but didn't stick around to check it out since we were so excited for the mazes. We headed straight down to the lower and back lots to hit the mazes that opened early, which included The Shining, Insidious, Ash vs. Evil Dead, Saw, and American Horror Story: Roanoke. WARNING: I will give a brief overview of the mazes below, so if you want to avoid spoilers, please do not read! 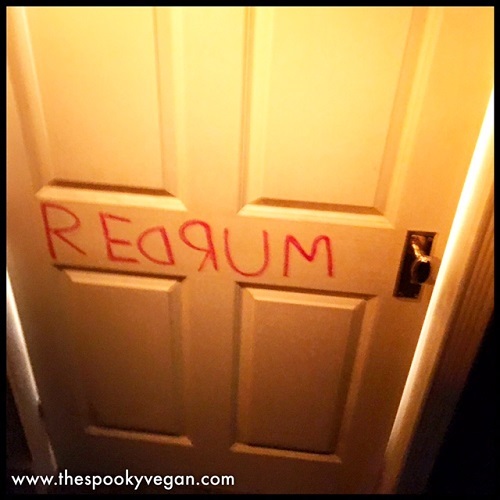 The first maze we did was The Shining - the exterior looks like the hedge maze from the film, and you enter past the "redrum" door with audio of Danny repeating the phrase. 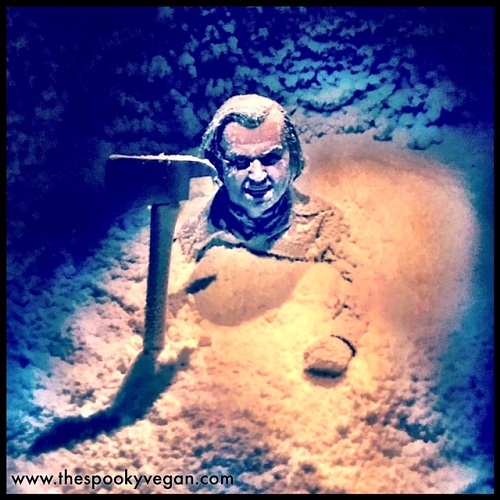 You walk through the corridors of the Overlook Hotel, encountering Danny on his tricycle and the twins, passing through the infamous bathroom and bedroom of room 237 and being terrified by the old woman, checking out The Gold Club and the elevators gushing blood, watching Wendy fend off Jack while he tries to chop through the bathroom door, and all the while avoiding a murderous Jack and other malicious residents of the hotel. We went through this maze several times, and while they had some technical issues on our first walk-through, it was a fun one that was fairly long. I loved all the details they lovingly copied from the film, and the old woman was one of my top scares of the night! 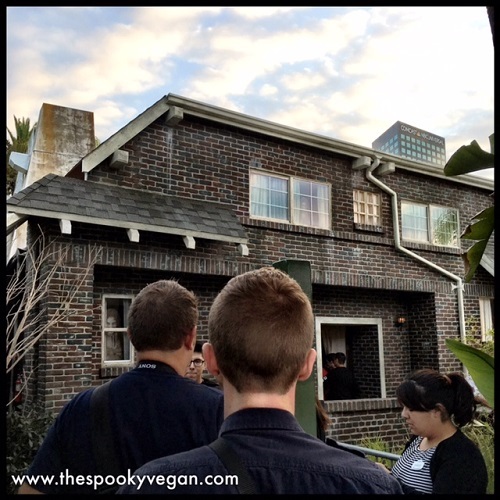 Waiting outside the Insidious house! Insidious: Beyond the Further was next, and this was another long, rad maze! It featured key scenes from the Insidious films, including the new one coming out in 2018. I really dug the sound design in this one, it totally creeped me out! There is one red room in particular that plays the "Tiptoe Through the Tulips" song used in the films that really made me anxious and delivered a good scare, not to mention all the bride in black scares throughout the maze that got me every time! Really enjoyed this one! From there we headed to the backlot for the other mazes that were open early - first we went through the Toxic Tunnel and the Urban Inferno scare zones. Since it was still light out, there weren't any scare actors in the scare zones yet (they don't come out until the official opening time of 7:00 PM), but it was still cool to look at all the props in the Urban Inferno scare zone and walk through the tunnel that connects the lower lot to the back lot without all the annoying flashing strobe lights. When we arrived at the backlot we did Ash vs. Evil Dead, which was really fun. It perfectly matched the tone of the TV show, and was both goofy and scary! The details of the maze were really groovy, including my fave - Ash's trailer as you first enter. 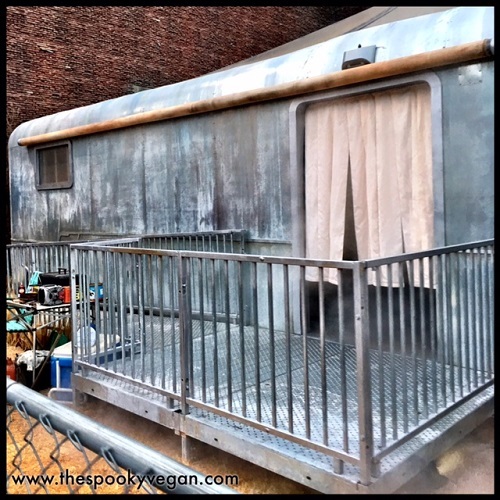 You can also see the exterior of the trailer while you are waiting in line. Next we did Saw: The Games of Jigsaw maze, which features scenes inspired by the Saw films as well as the new Jigsaw movie coming out this October. This one was one of the gorier mazes (for obvious reasons) and featured torture tableau of Jigsaw's traps. The maze had a gritty feel that perfectly captured the look of the films, and it was a terrifying treat to see the torturous traps up-close and in-person. 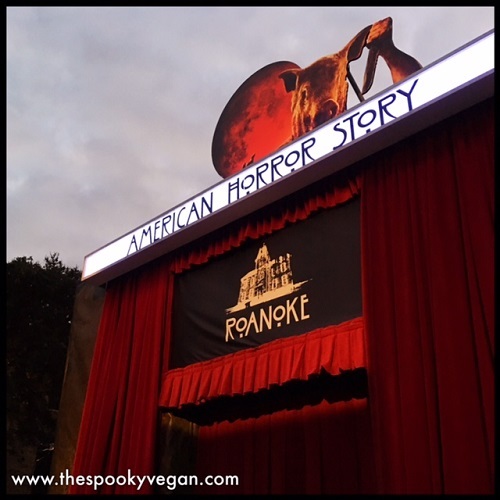 The last maze we did in the backlot was American Horror Story: Roanoke. I didn't care for that season of AHS, but the maze itself was frickin' awesome! Doing the maze actually made me want to re-watch the Roanoke season, and that is saying a lot! 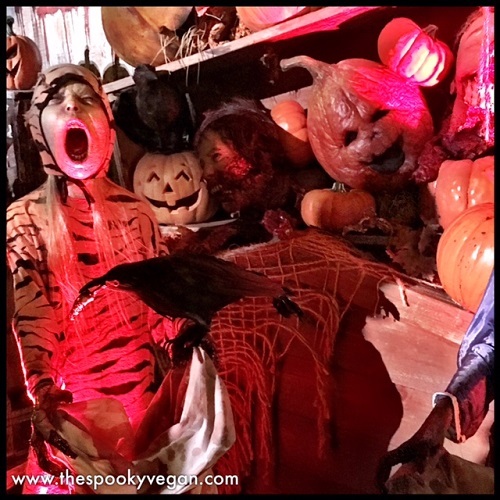 I was most scared by the Piggy Man and the gigantic wicker dolls in the maze (those were the scariest things I saw all night), but I loved the whole creepy, claustrophobic feel of the maze. With that we were done with our first sweep of the lower and back lots, so we headed back up topside to do the Titans of Terror Tram. 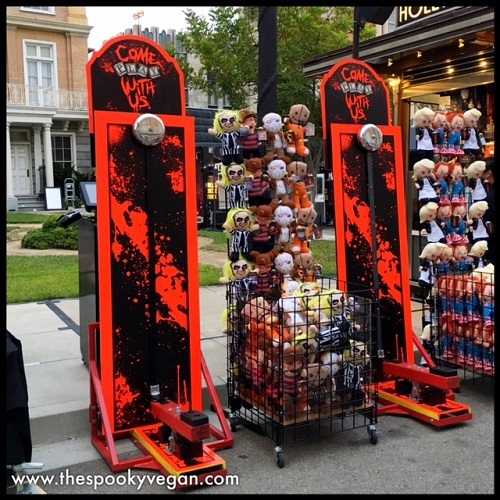 This year the Terror Tram was hosted by Chucky and featured Friday the 13th's Jason Vorhees, The Texas Chain Saw Massacre's Leatherface, and Nightmare on Elm Street's Freddy Krueger, so we were dying to check it out! 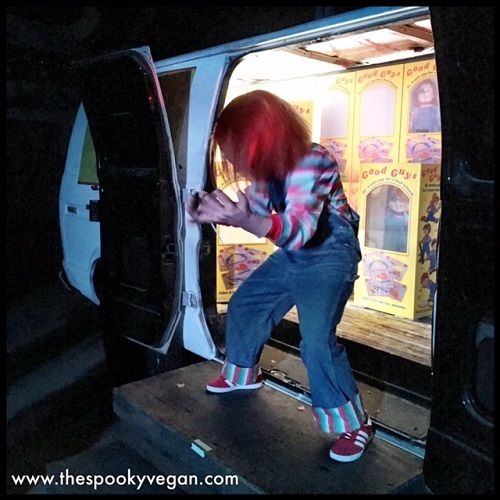 After a brief ride on the tram with an intro by the always lovable Chucky, we were forced to get off and make our way through a whole group of chainsaw-wielding Chuckies and then run the gauntlet through Jason, Leatherface, and Freddy! We first encountering Jason at Camp Crystal Lake, then Leatherface and the rest of the Sawyer family, and finally a bunch of Freddy Kruegers, before escaping back on the tram. I really enjoyed the Titans of Terror Tram this year, it was so much fun! Once we got back up to the upper lot, we did The Walking Dead attraction and The Horrors of Blumhouse maze. The Walking Dead is a year-round attraction and always fun, so I won't dwell on it. The Horrors of Blumhouse is based on three Blumhouse movies - the last Purge movie, Sinister, and the upcoming Happy Death Day. The maze started outside in the Purge, which had some fun (scary) characters. We then entered a building with a movie theater marquee and were plunged into Happy Death Day. I've seen trailers for the movie and to be honest it didn't excite me much. However, the maze was really fun, and I loved one room where there were a group of mannequins dressed like the creepily masked killer - except one wasn't a mannequin! The maze transitioned into Sinister with the demon Bughuul popping up in terrifying manners all over the maze. While this wasn't my favorite maze, it was still a blast! After doing all that, it was about 8:40 PM so we killed some time before our 9:10 PM RIP Tour time. A little explanation about the RIP VIP experience - when you buy tickets you select your day and then select a time for your tour. We chose 9:10 PM since that would give us enough time to do all the mazes by ourselves first. Also, Universal Studios isn't the most vegan-friendly amusement park, so we had eaten early at SunCafe and figured the buffet would have some kind of vegan option and we'd be hungry again at 9 PM. We checked in to the VIP lounge at 9:10 PM, grabbed some grub (I ate a whole big mess of French fries and veggies) and drinks and relaxed a bit. We actually decided to skip our guided walking tour - in previous years the VIP tour included private VIP trams down to the backlot mazes, but this year it was just a guided walking tour. We didn't feel like following around a guide all night, so we ditched and went through all the mazes again ourselves. We also got to experience all the scare zones in all their nighttime glory. Titans of Terror maze! The beginning had this amazing bedroom set-up. 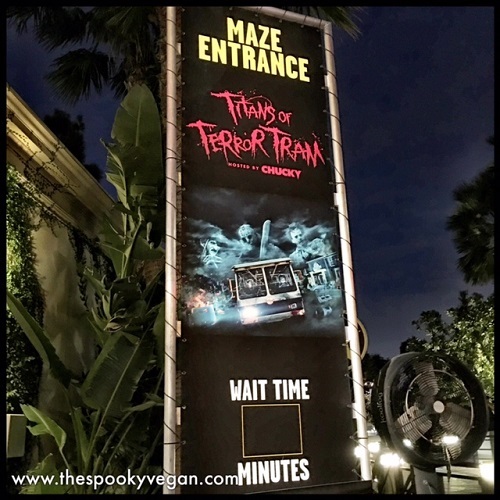 For some reason, we all completely missed the Titans of Terror maze (I'm pretty sure we all just assumed the Terror Tram was it for Titans of Terror), but luckily we spotted it on our way out of the park and were able to squeeze it in. Thank goodness, because it was one of my favorite mazes of the night! 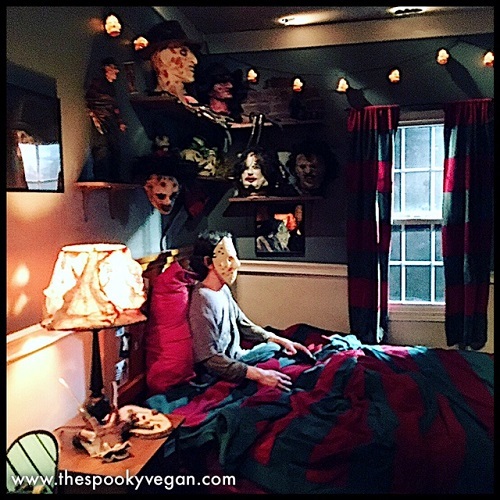 The bedroom you first walk into was decorated like every horror fan's dream, with horror movie goodies all over the place! The maze went through so many great rooms inspired by The Nightmare on Elm Street, The Texas Chain Saw Massacre, and Friday the 13th and we were treated to scares from Freddy, Leatherface, and Jason. 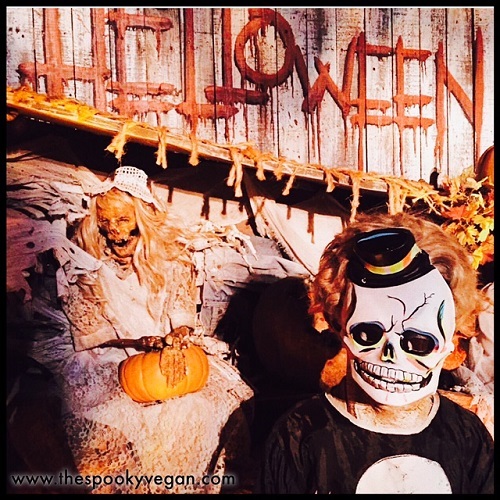 Not to mention that the outside facade of the house was decorated for Halloween!! It was so incredible. We finished off the night by walking through the Hell-o-ween scare zone, which was my favorite of the scare zones. 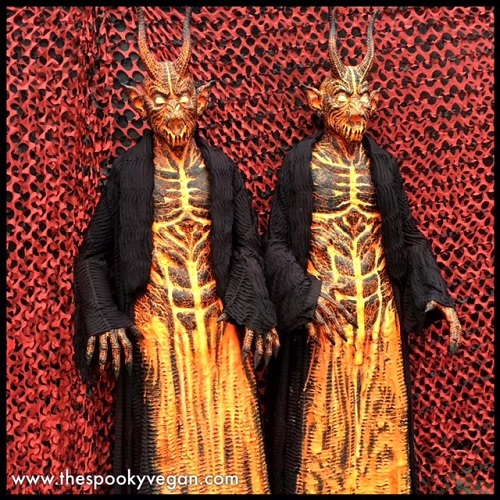 I just wish we could have lingered longer to play with the scare actors and check out the displays of demonic trick-or-treaters. 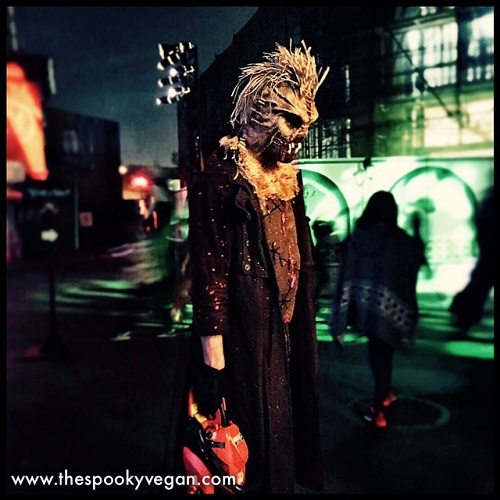 I had a killer time at Halloween Horror Nights this year. I liked all the mazes, and while my top three were Titans of Terror, Insidious, and The Shining, I felt like this year didn't stand out like previous years have. Still, better to have a solid line-up of all the mazes rather than a just a few really awesome ones. I am glad I did the VIP experience so I could do the mazes multiple times, especially when we went early there were a few technical hiccups and not all the scare actors were in the mazes. It was awesome to have the ability to do them again later in the night when all the kinks had been worked out. Plus, we didn't wait for more than five minutes for any of the mazes with our VIP badges! That allowed us to do mazes multiple times all night long without having to wait over an hour and a half to two hours in the general admission lines. Highly recommend the VIP experience or at least the front of line tickets to maximize your time at Halloween Horror Nights! 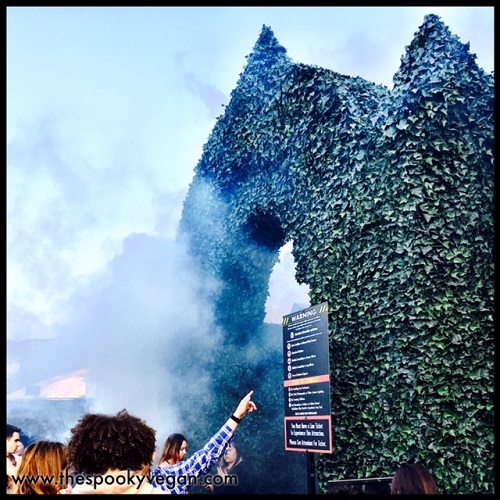 I've shared these before, but here are some helpful tips to make sure you have a great time at Halloween Horror Nights! Purchase tickets in advance - Tickets generally go on sale in late August, sign up for their email distribution list so you can get a heads up when they go on sale. The earlier you buy them the more you will save! Also, VIP/front of line tickets sell out fast, so you want to purchase them as early as possible. Arrive early - Check HHN's Twitter for when they open Halloween Horror Nights - some nights they open earlier! The earlier you get there, the more you will be able to do, plus parking will be easier (take public transportation if you can!). Some mazes give out goodies - again, check HHN's Twitter for secret passwords you can use at select mazes to get a little something extra! Make a game plan - Before you arrive, make sure you have a game plan ready for what you want to do and where you want to go first. The night will require lots of walking, so having a game plan will maximize your night! I like to hit the lower and back lots first, then work my way back to the upper lot, do the Terror Tram, and then finish off the night with the mazes on the upper lot near the entrance. 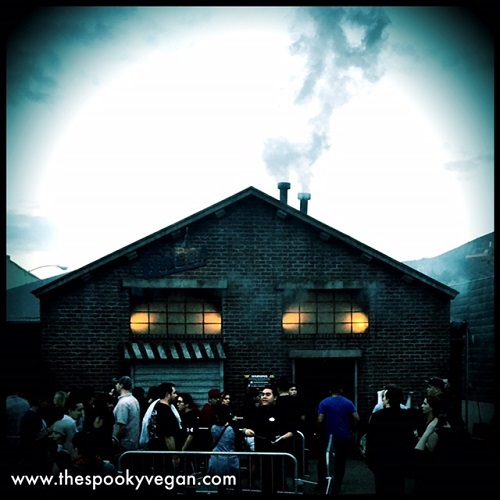 Keep in mind no outside food/drink is allowed in - They are very strict about this, and because Universal has such limited vegan options inside the park (read about their vegan options HERE), make sure you eat dinner somewhere else before entering HHN. I recommend the nearby SunCafe or Vegetable (review) restaurants! Don't forget to pick up some vegan doughnuts at Voodoo Donut at the CityWalk! Travel light - Leave big bulky backpacks, purses, jackets, etc. at home - you don't want to be weighed down by stuff as you'll be walking a lot, plus it is crowded and with big bags or jackets you'll constantly be bumping into people. Only bring the necessities (tickets, IDs, credit cards/cash, phone), or, put bigger stuff in lockers before you hit the mazes. Stay cool and hydrated - It is usually still really hot in SoCal in September/October, so dress appropriately. Also, the fog in the mazes tend to dry out your throat (as does all the screaming), so be sure you stay hydrated and drink water throughout the night. 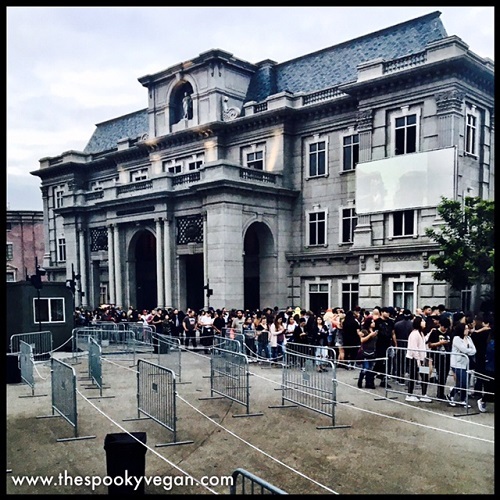 Be mindful of those around you - My pet peeve is people holding up the crowds in mazes. Sure, you're freaked out, but face your fears so you're not holding everyone up by cowering in front of a room entrance. Same goes for obnoxious people who feel the need to run through mazes and constantly crowd those in front of them. The worst is when they step on the back of your shoes! Be considerate of those around you. Make sure you take it all in - It's easy to get caught up in the rush and let your adrenaline run wild, especially when going through scary mazes, but take a breath and appreciate all the incredible sets around you! Universal does an amazing job with the mazes and the intricate details deserve recognition. And that's it! 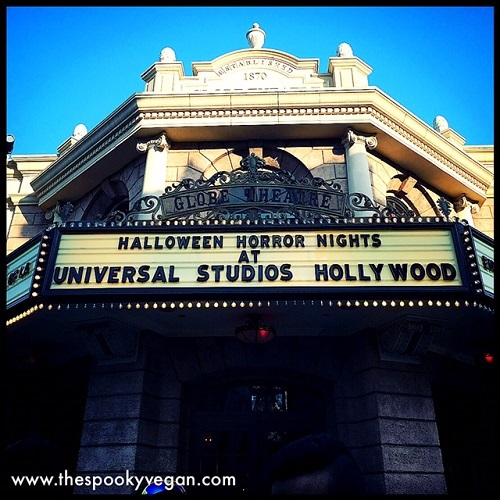 Hope you get to experience Halloween Horror Nights Hollywood this year! If you've already gone, what was your favorite maze/experience? If you are planning to go, what are you most looking forward to? 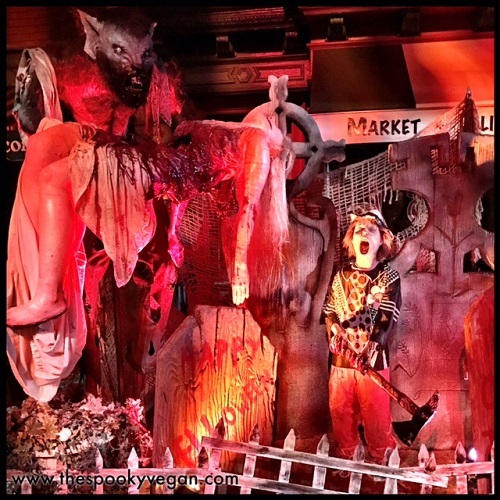 By the way, I'm so jealous of Halloween Horror Nights Orlando, which has a Trick 'r Treat scare zone!! Like, what the hell, why didn't Hollywood get that?? 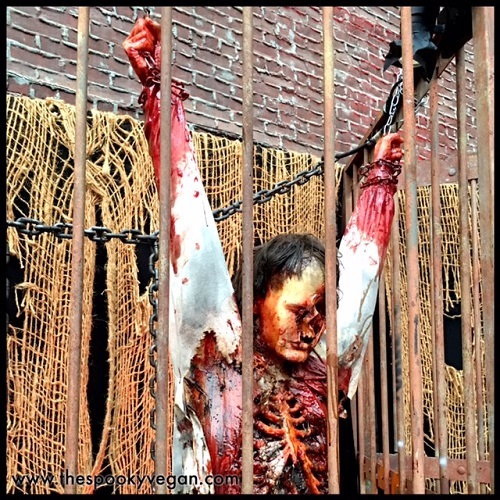 If you go to the Orlando Horror Nights, it will be different than the Hollywood experience, including different mazes, scare zones, and shows. If you go to the Orlando one, let me know how it was! For more info and to purchase tickets, please visit Halloween Horror Nights Hollywood! I went to Orlando last year as a regular peon, non-VIP. The lines for the mazes were crazy, averaging on 2 hours. We only got to do a few of them, but I made Krampus my first to make sure I'd see it and it was really good. That was the only licensed maze I could get into due to the line times. It felt like they oversold because there were so many people there and one section of the park had part of a boat blocking the walkway which made it just about impossible to get by with all the people. I swear a fight almost broke out because it was a mass of people standing there waiting to funnel through the small part you could get by. 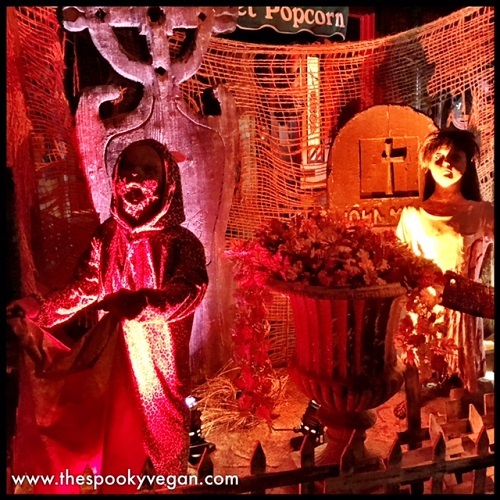 It was still fun checking out the scare zones and the Bill & Ted Halloween Show, which is sadly retiring this year. 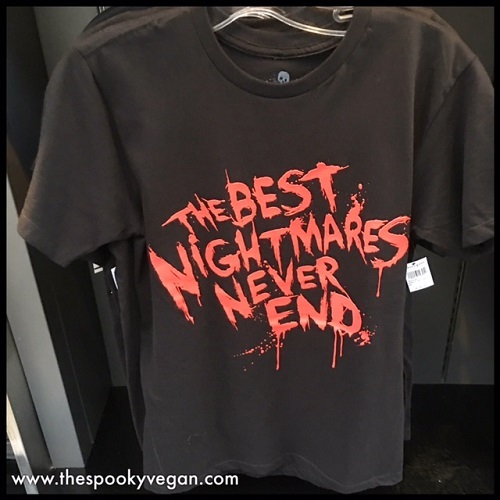 It's definitely the best thing about HHN Orlando!